Economy, analyzes a broad array of issues relating to corporate supply chains. His research highlights how the fragmentation of the supply chain — along with the short-term nature of relationships between retailers and their suppliers — has put downward pressure on workplace standards. Corporate brands’ labor codes of conduct have proven insufficient, he argues, and governments must play a more substantive role in oversight. Locke’s latest research paper, “Does Lean Improve Labor Standards? Capability Building and Social Performance in the Nike Supply Chain,” for Brown’s Watson Institute for International Studies, has some promising findings in terms of identifying strategies to reduce serious labor violations, but finding solutions remains complex. 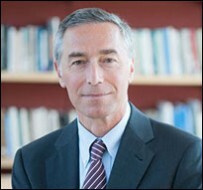 For journalists, Locke’s work can be particularly valuable, as it provides empirical data to help inform and deepen coverage on issues that are often difficult to pin down; he works directly with companies such as Nike, Apple and HP to gain access to international facilities and data, and to provide independent analyses of their operations. Supply-chain and global labor issues have become more prominent in the news, but attention is often spotty. The April 2013 deaths of more than 1,100 workers in a factory collapse in Bangladesh, the second-biggest garment exporter in the world, drove home how dangerous and difficult the conditions can be under which many major brands’ products are produced. Controversy around these issues continues to play out there and in other countries such as Cambodia. Journalist’s Resource researcher Brendan Brady recently caught up with Locke to discuss these dynamics. The following interview has been edited. Journalist’s Resource: After high-profile factory disasters or reports of exploited workers, the problem tends to be framed in terms of greed by major brands or poor local governance. But in your book The Promise and Limits of Private Power, you talk about how the demands of consumers for high volumes of clothing and ever-changing fashions have put more pressure on factories, which is then displaced onto workers. What responsibility do consumers bear, and what is the role of consumption patterns in fueling onerous working conditions? Richard Locke: The most important thing is to educate consumers, especially in large markets, so they understand that the choices they make have implications for issues of living standards, working conditions and justice in the factories that produce most of the things we buy every day. I’d like to imagine a way to expand the whole discourse around ethical sourcing, so that it’s not just: If we pay a little bit more, if we buy certain kinds of products — fair trade, organic or whatever — we can then absolve ourselves of any guilt because we’ve made our contribution by paying an extra five cents at Starbucks for a coffee. Rather, I want us to really think about how these products are made and what the pressures are to make them in the quantities, at the price points, and in the timeliness that we demand or that they’re being given to us. Once we consider this, could it be that we rethink some of our consumption patterns? I just think about my own kids — maybe they don’t need twenty shirts in their closet. Maybe they could live with 10 of them, and those 10 would maybe be more expensive, but they would be made under fairer conditions. JR: How realistic is it for this kind of argument to catch on? Richard Locke: I think it’s a difficult argument, especially in an economy that’s struggling to recover because people feel that the only way profits can be made is if we sell more stuff, and that if we sell more stuff it means someone is producing more stuff and therefore creating jobs. I think we have to show the viability of an alternative model, where one can be profitable by selling less stuff but with more value-added, and show that the consequences of that are good for the economy and good for the workers. I can imagine that is an easier argument to make to people who have higher incomes than to those who are struggling to get by. But I believe that, if we started directing our attention to this line of research, we would find a lot of waste in this system of just selling a ton of stuff for the sake of it, and maybe, slowly but surely, we could start shifting these consumption patterns. JR: Consumption patterns aside, do you think consumer attitudes — like labor solidarity, which tends to be stronger in Europe — have a major effect on consumer pressure as well? Richard Locke: I think what drives people’s consumption patterns are their attitudes. And we know that across the world people have different attitudes. There’s been a lot of research that has shown that consumers in certain kinds of markets, like Australia and Western Europe, are much more attuned to these arguments for fair trade and worker-friendly production than are consumers elsewhere, like in the United States. So some categories of consumers are willing to act with their wallet and willing to pay more for ethically sourced goods. But, still, these numbers are tiny. JR: You talk in your book about how the diffusion of the global supply chain is one of the biggest complications in terms of achieving accountability. You propose that private oversight could be more effective if retailers and suppliers develop longer-term relationships. How can this be encouraged? Richard Locke: We live not just in a global economy but in a global supply chain. Many of the commonplace products that we buy are not just made somewhere else but rather the products are fragmented and dispersed in pieces around the world and then are coordinated and assembled in, say, China. So where do you regulate? Do you regulate the final assembly or do you regulate each part of the production process across various countries? That creates even more difficulties in trying to regulate. The traditional forms of national government regulation, or even collective bargaining and countervailing power, is very difficult given the nature of production. The possibilities for industry self-regulation being more effective exist under two conditions. The first condition is where one sees buyers and suppliers establishing more long-term, mutually beneficial relationships. So you don’t have a constant churn in your supply chain, and you’re just working with whoever offers the lowest bid, but you’re really working with suppliers who have become partners. And once they are engaged in this long-term, mutually beneficial relationship, I think they’re willing to work with one another to find out how can they be more productive, more effective, and make sure they’re balancing market demands with compliance demands. And we’re able to demonstrate this empirically. And what’s interesting is that company after company I’ve been looking at has been trying to rationalize their supply chains in these ways because they think it’s easer, more effective, etc. The second condition that facilitates industry self-regulation is when it’s complimented by strong government regulation. JR: In your book, you were quite positive about the impact of Cambodia’s Better Factories program. Would you revise your assessment in light of recent labor unrest there occurring after your book was published? Richard Locke: Yes, I think I would be a little more balanced in my portrayal of the program, but I think my argument would be the same. And my argument is that even in a place like Cambodia, where you don’t expect anything to work given its history, you see that this program sometimes does work. I know there are a lot of problems — with factory fires and strikes, it hasn’t become a worker’s paradise — but at least the studies I saw show that the program has led to better conditions. 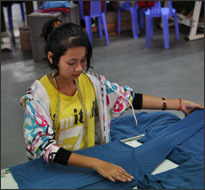 JR: Recent conflict aside, overall, Better Factories has had a pretty good reputation for the workplace conditions it has fostered in Cambodian factories. But the low-wage issue is not under its purview. Is there a good way to design an independent program like this that also addresses wages? Richard Locke: Because it’s an ILO program, it is subject to the kind of compromises across the main different groups — employers, worker’s groups and government. So there are some issues that are really hard to get an ILO program to push hard on because you can’t get the kind of consensus you need across the different groups. Do I think regulatory programs, whether it’s the ILO program or other programs, should be paying attention to wages? Absolutely. Because we know that in many parts of the world, workers who are working full-time or even more than full-time, in the end, they earn less than what they need for just a very basic life. I think we can get somewhere towards that in the productivity and process improvements I talk about in the book. But I don’t think we’ll get there through that only. We really need to pay a bit more for that good, and that’s where we get back to consumer choices and consumption patterns. JR: Some labor unions in developing countries have focused on the idea of workers deserving a “living wage” as a bottom-line right. But the argument is challenged by disagreement about what a living wage is. Is the living wage argument an effective way to create a fair standard? Richard Locke: There are ways to quantify a living wage. The problem is people quantify it in different ways. I think that rather than have what I see as silly debates over the definition of a living wage, and how best to calculate it, what we’re looking for is that people have enough wages to support themselves and their families, not only in terms of their nutrition, housing and healthcare, but in terms of education for their next generation. My experience working in some of these countries is that many people had problems surviving on these wages just in terms of food and housing, let alone healthcare, education, and transportation. And if someone got sick, it all collapsed. So I get frustrated by these debates. JR: Manufacturers in highly undeveloped and poor manufacturing countries often argue that their factories are providing a better opportunity than local workers otherwise have, and that outsiders are applying an inappropriate standard when they say conditions and pay are not sufficient. Richard Locke: I never buy that argument. It is better than what they would have in the farm or village, yes, probably. In many of these countries, if you’re born as a young woman in a village, probably the opportunities for you — not just economically, but in terms of basic freedoms — are greater if you work in one of these export-based factories. That’s true, but that’s not a reason for why you would not implement a workplace standard on your books, for why you would not pay fair wages, for why you would have people work beyond a certain number of hours so they get exhausted and injure themselves. That’s not an excuse. So I don’t believe this idea that we’re imposing Western standards on developing countries. I think that’s diversionary. JR: The media tends to latch on to stories about onerous conditions in factories that supply major brand names, like with Foxconn in China, which was supplying for Apple. And in the wake of the Rana Plaza disaster in Bangladesh, the major brands sourcing from there were called out. Is it productive to focus criticism on name brands? Richard Locke: I think people are beginning to realize that behind Apple and Hewlett Packard and everyone else are Foxconn and all of these other companies. So it promotes a level of understanding of what’s going on. There are all of these intermediaries, and it’s important for people to see that. What they should also see is that [these suppliers’] margins are not as high as the brand names. While they may be big and powerful, if you actually look at their profits they’re being squeezed. Why is it that the brands are squeezing them? And then if they’re being squeezed, why is it that the only way they can make money is by squeezing workers in turn? Which is what they’re doing. On the one hand, it’s too simplified [to focus on the role of brand names], and we should look beyond the major brands. But, even if it’s just the tip of the iceberg of the problem and they’re actually usually better than the brands we’ve never heard of, it’s a way of mobilizing attention. Hopefully people are not just thinking about Nike or Apple being a bad company, but about how we’ve structured a world of production that’s creating these difficulties. JR: Bangladesh is planning to adopt the ILO’s Better Work compliance monitoring program. Is there any particularly important revisions to the model that need to be made for it to work in Bangladesh, to make it more robust and better suited to the conditions of Bangladesh, which would be the largest — and most unwieldy — manufacturing market to implement it? Richard Locke: Programs like the ILO’s Better Work only work when certain basic conditions are in place: That the government has enough building or labor inspectors; the laws on the books are ones that facilitate independent unions to do their jobs; and so on. It’s my understanding that the discussions over the roll-out of Better Work in Bangladesh are focused on how to promote those underlying conditions in Bangladesh so Better Work can actually stand a chance of being implemented successfully there. The [Bangladesh] government has given reassurances that it will do these things. But it’s a pretty screwed-up system, so we have to make sure that if they don’t, [we assess] how could we publicly withdraw and things like that. Brendan Brady writes for Journalist’s Resource, a project of the Harvard Kennedy School’s Shorenstein Center and the Carnegie-Knight Initiative. This article is republished under terms of a Creative Commons license.